Jerry Ballard & Associates, Inc.
A name you can trust, an agent you can count on. Serving North Carolina residents since 1974. Find Out When You Can Apply: An agent will be able to determine the time frame in which you are able to apply for insurance. These times frames include Open Enrollment Period and Special Enrollment Period. During the Special Enrollment Period, you must have had a Qualifying Life Event occur within the last 60 days to enroll in an ACA-compliant plan. Talking with our agents can verify that you meet the requirements to enroll during special enrollment. Determine Your Eligibility for Savings: Federal tax credits, also known as subsidies, are an amenity of the Affordable Care Act that are designed to lower the cost of health coverage. Talking with an agent can help determine if you are subsidy-eligible and meet the requirements set by the federal government. GENERATE YOUR QUOTE to determine if you are eligible for a subsidy, that could significantly reduce your monthly premium! Get Help when Applying Online: Applying for coverage through the Health Insurance Marketplace can be tricky. Having an agent help you submit your application can avoid confusion during this process and ensure that your application is complete and submitted correctly. Our agents can help you submit your application right over the phone, it could take as little as 15-20 minutes! Gain Knowledge About Your Coverage: Not only can agents provide insight about your plan’s benefits, they can also help you understand the details of your coverage. With so many options, such as Gold, Silver, and Bronze plans it can be confusing to determine which BCBSNC plan is best for you. It is also very important to know if your healthcare provider is “in-network.” Since it can be more costly to seek “out-of-network” coverage, knowing which doctors and hospitals accept your plan is one of the best ways you can manage your healthcare costs. Ensure You Get Coverage When Needed: While applying for health insurance, customers may find that they have a lapse in coverage before they are able to enroll in a Blue Cross Blue Shield of North Carolina plan. It is important to avoid any gaps when you may go without coverage! Speaking with an agent can ensure that you are enrolled in the correct effective date so you won’t go without the protection and quality coverage that you need to maintain your health. We can’t wait to hear from you! 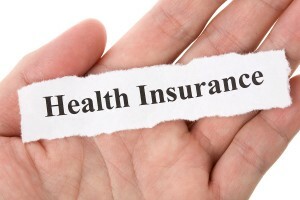 For more information on North Carolina Health Insurance coverage, please visit our website at www.nchealthplans.com or call our toll free number 888-765-5400 and speak with one of our experienced and professional agents. Web Site Management by Venue Communications, Inc.